Primary ciliary dyskinesia (PCD), also known as immotile ciliary syndrome, is a rare, ciliopathic, autosomal recessive genetic disorder that causes a defect in the action of the cilia lining the respiratory tract (lower and upper, sinuses,Eustachian tube, middle ear) and fallopian tube, and also of the flagella of sperm in males. Respiratory epithelial motile cilia, which resemble microscopic "hairs" (although structurally and biologically unrelated to hair), are complex organelles that beat synchronously in the respiratory tract, moving mucus toward the throat. Normally, cilia beat 7 to 22 times per second, and any impairment can result in poor mucociliary clearance, with subsequent upper and lower respiratory infection. Cilia also are involved in other biological processes (such as nitric oxide production), which are currently the subject of dozens of research efforts. As the functions of cilia become better understood, the understanding of PCD should be expected to advance. The main consequence of impaired ciliary function is reduced or absent mucus clearance from the lungs, and susceptibility to chronic recurrent respiratory infections, including sinusitis, bronchitis, pneumonia, and otitis media. Progressive damage to the respiratory system is common, including progressive bronchiectasis beginning in early childhood, and sinus disease (sometimes becoming severe in adults). However, diagnosis is often missed early in life despite the characteristic signs and symptoms. In males, immotility of sperm can lead to infertility, although conception remains possible through the use of in vitro fertilization and, as well as this, there have been reported cases where sperm were able to move. Trials have also shown that there is a marked reduction in fertility in female sufferers of Kartagener's Syndrome due to dysfunction of the oviductal cilia. Many affected individuals experience hearing loss and show symptoms of glue ear which demonstrate variable responsiveness to the insertion of myringotomy tubes or grommets. Some patients have a poor sense of smell, which is believed to accompany high mucus production in the sinuses (although others report normal - or even acute - sensitivity to smell and taste). 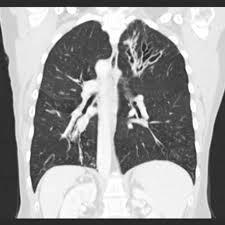 Clinical progression of the disease is variable with lung transplantation required in severe cases. Susceptibility to infections can be drastically reduced by an early diagnosis. Treatment with various chest physiotherapy techniques has been observed to reduce the incidence of lung infection and to slow the progression of bronchiectasis dramatically. Aggressive treatment of sinus disease beginning at an early age is believed to slow long-term sinus damage (although this has not yet been adequately documented). Aggressive measures to enhance clearance of mucus, prevent respiratory infections, and treat bacterial superinfections have been observed to slow lung-disease progression. Although the true incidence of the disease is unknown, it is estimated to be 1 in 32,000, although the actual incidence may be as high as 1 in 15,000.